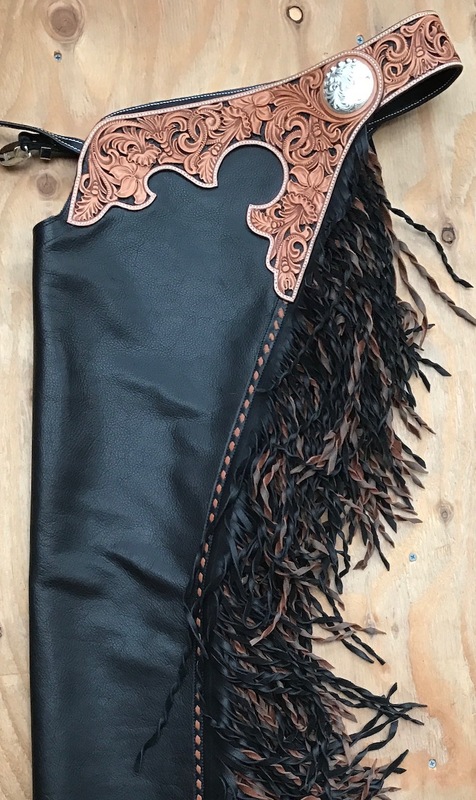 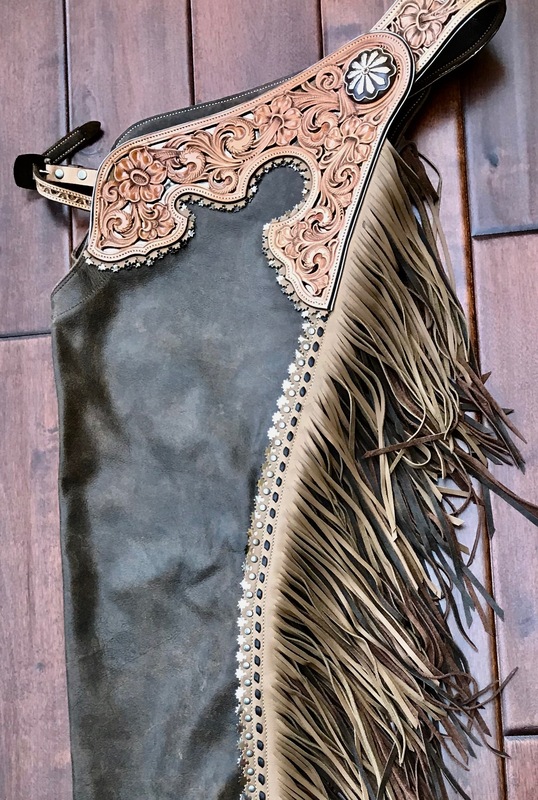 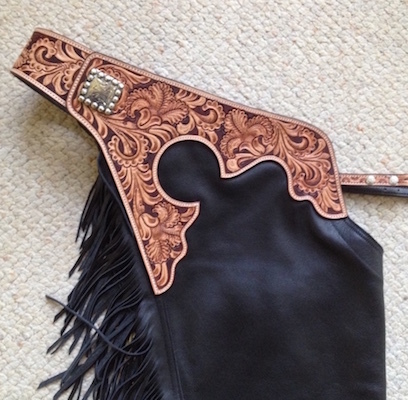 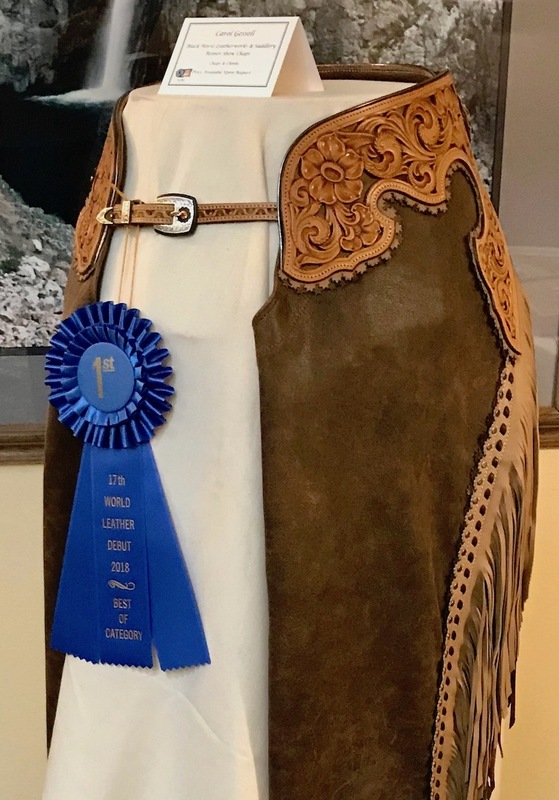 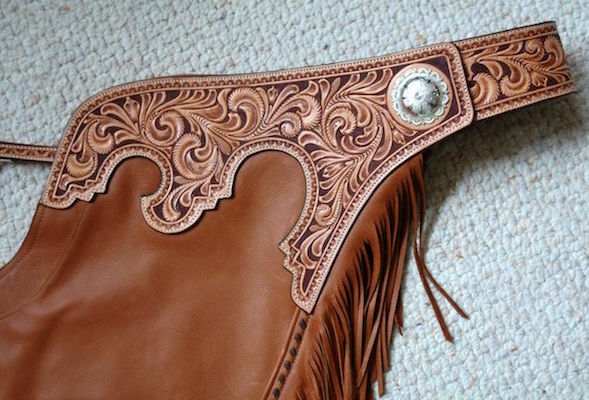 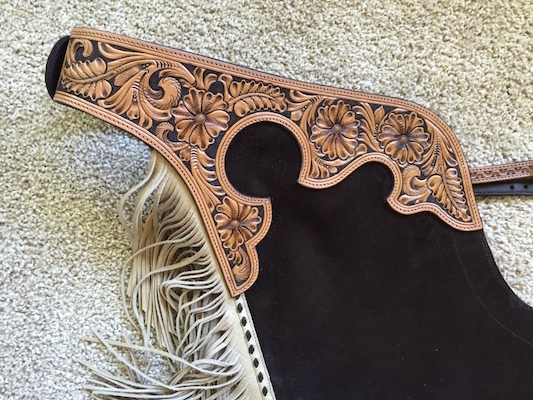 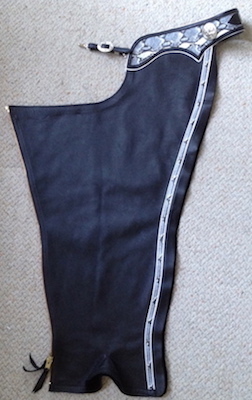 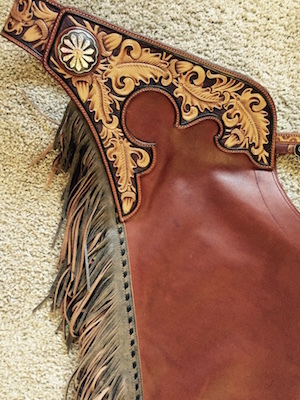 Black Horse Leatherworks is proud to offer our custom made chaps! 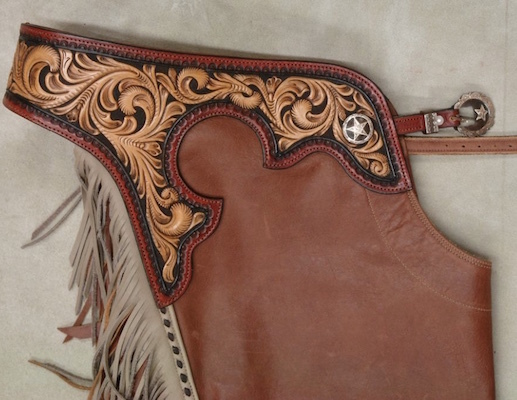 We use only the highest quality materials so you can be sure they will look good after seasons of use. 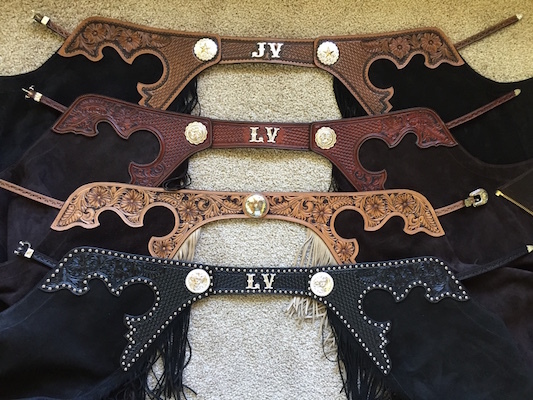 We offer many colors to choose from and styles ranging from rodeo chaps, reining & cutters, english schooling chaps to chinks. 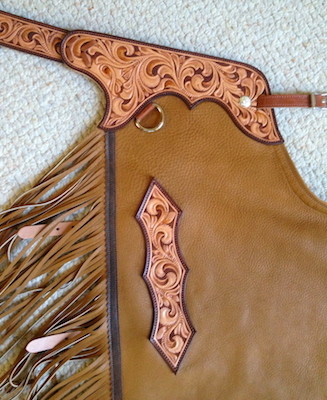 We also offer embroidery for schooling chaps and custom hand beaded accents too! 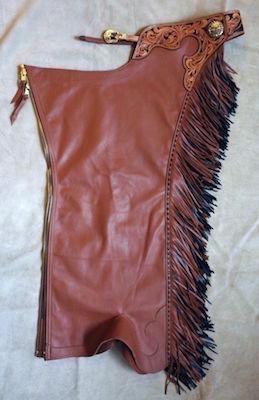 Prices start at $495 for Suede or "splits", $595 for Top Grain "smoothies". 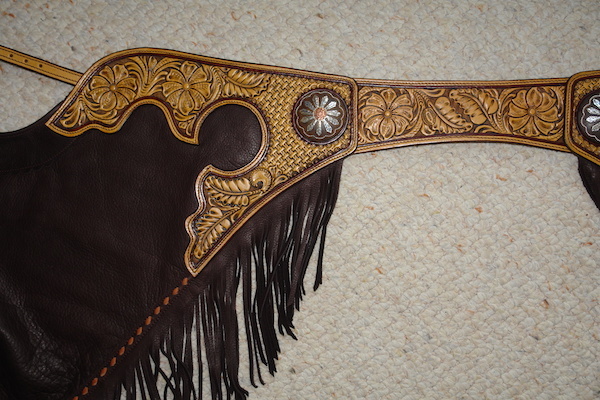 Please contact for a price quote.